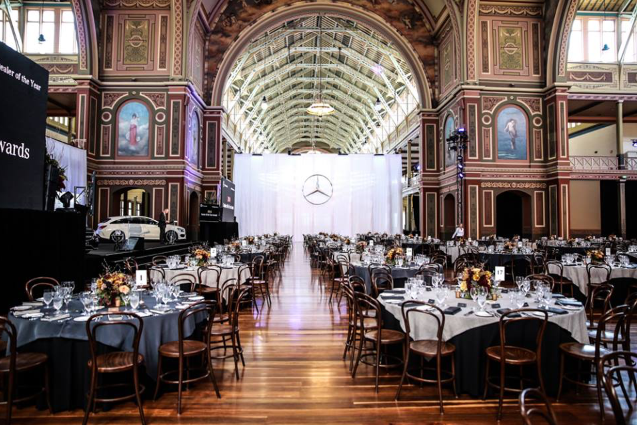 Home/Blog/What makes corporate event styling different to private styling? No doubt you’ve heard that it only takes 7 seconds for someone to form a lasting impression. Appearances are crucial to ensuring you build the best possible image for yourself – especially in corporate settings, where deals, partnerships and clients are on the line. That’s why corporate event styling is such an important consideration. 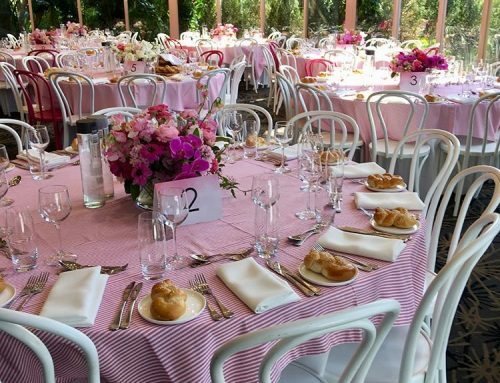 However, you can’t plan your corporate styling like you would, say, a wedding reception. 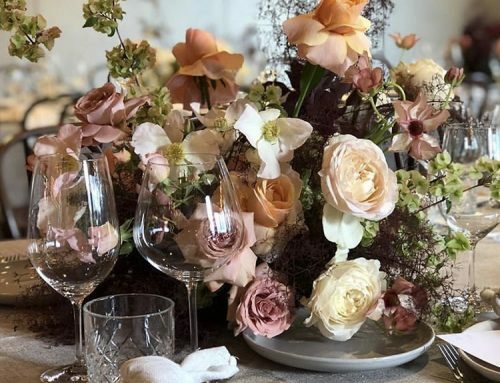 In our experience, styling a corporate event is a completely different story from private event styling, requiring a completely different approach. How so? Read on to find out! As such, corporate event styling has a much stronger focus on maintaining a comprehensive “look” than most private events. 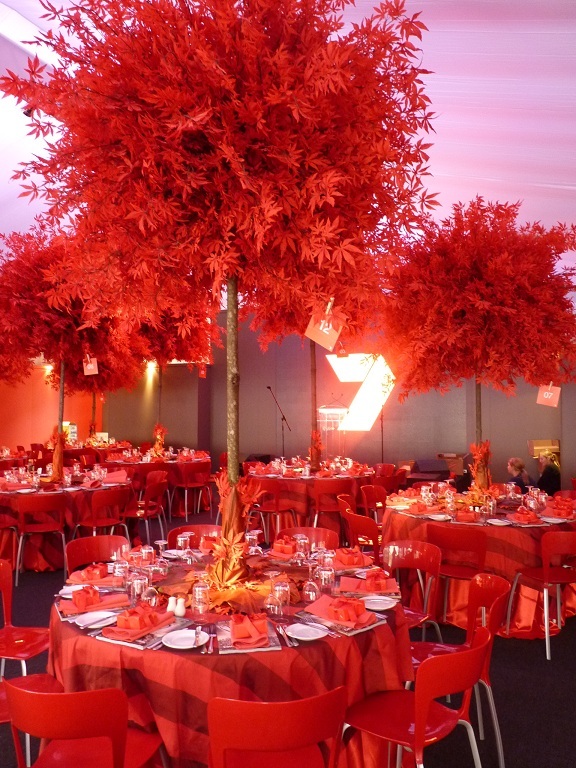 In particular, your corporate event styling may be impacted by your company colours and branding. That’s because branding is key – especially if your corporate event is being attended by potential business partners, clients, or important stakeholders. Incorporating branding into your event styling helps you maintain a cohesive image – moreover, it makes your company stick in attendees’ memories. The most obvious thing you can do is incorporate your company’s branding on as many pieces of your event as possible. That means having banners, table centrepieces and even getting custom table linens with your logo on them! It isn’t just logos, however – good corporate event styling also means paying attention to your image. Each element of your event styling should fit with the image your company is trying to project. Additionally, thought should be put towards event styling that subliminally supports this image. We all know Apple for being high-tech and leading edge, while also being extremely accessible, simple, and user-friendly. 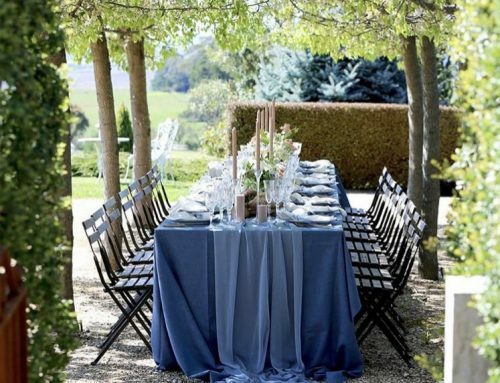 Ideally, your corporate event styling should be similar. The materials, accessories, decorations and layout of your event venue can all support – or sink – the image you’re trying to project. For example, say you’re a high-end legal office. You want to project authority, experience, and trustworthiness – cheap paper cups or plastic table mats aren’t going to do that! Another thing that’s crucial? Colours. Finding colours that fit both of these qualities is crucial. Having trouble choosing a colour that works both ways? Corporate event styling can help! Our event stylists help you choose shades that strikes the perfect balance between the two. 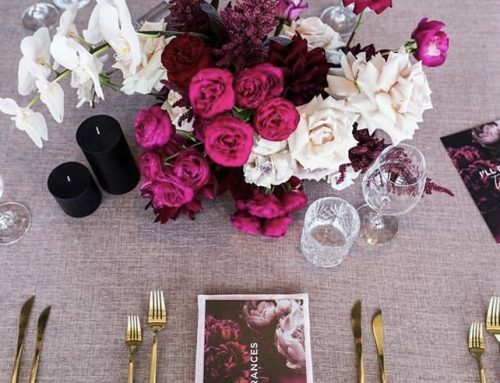 We don’t just stop there either – we’ll work with you to drill deep down into the image you want your event to project, and using our catalogue of table linens and complementary accessories, we’ll build you the perfect corporate event. It isn’t just decorations, colours and branding you’ll have to think about – corporate event styling should also focus on the practical aspects of your event. Certain events such as networking meetings, booths at trade shows and awards nights will see attendees moving around throughout the event. In these cases, careful attention should be paid to the floor plan and layout. All without affecting aesthetics and theme either! Call Table Art for corporate event styling and table linen hire! A great event starts with great corporate event styling. And that’s where Table Art shines! Table Art transforms your corporate event from ordinary to awesome. We help you decide on a theme, layout, colour and more, providing table linen hire and ensuring that you leave a great impression on attendees. Our team of dedicated and expert corporate styling experts are ready to take on your corporate event, no matter what it is. 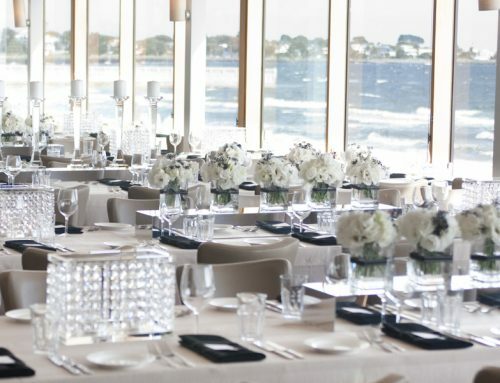 Contact Table Art today on 03 9813 2851 or fill in the form to discuss your event requirements with us!